Enigmatic Ediacaran organisms - Tribrachidium (top) and Ivovicia (bottom) - formed complex benthic communities ~15 million years before the Cambrian Explosion of animals. Image: Marc Laflamme. Cover Design: Bethany Vukomanovic. Darroch, S. A. F., et al. 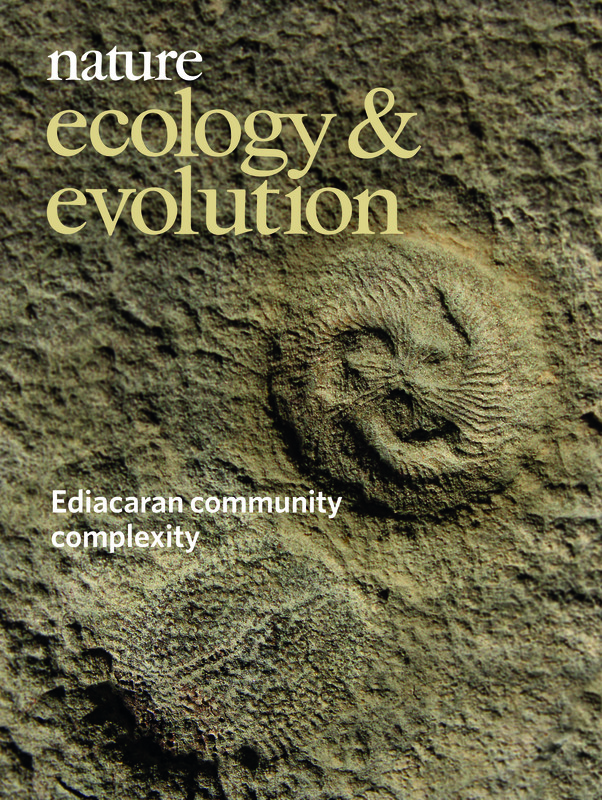 High ecological complexity in benthic Ediacaran communities. Nat. Ecol. Evol. 2, 1541-1547 (2018).